As this photo shows, the box is sealed with tabs. "So what?" I hear those of you in the USA asking. I believe most boxes in the USA are sealed in this way but in Europe we have horrible rip-seals on boxes this size that ruin the box on opening. They may be better at preventing tampering in-store but they are a nuisance for box collectors. The chameleon looks a bit better although still a bit of a hotchpotch of colours. I do like the eyes which, much like the animal's, can be rotated into different positions. 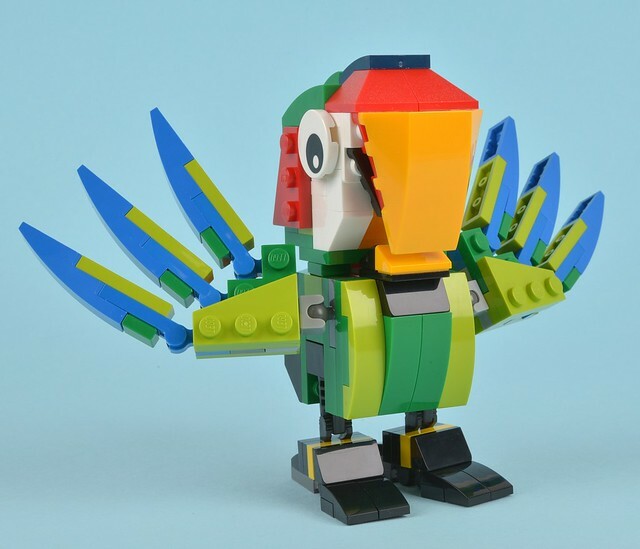 The parrot is undoubtedly the star model of the set and the one that will sell it. Its plumage is bright and colourful, and although I haven't been able to find an image of one quite like it, representative of parrots in general. The bright orange beak looks great in my opinion and the bird has a lot of character. 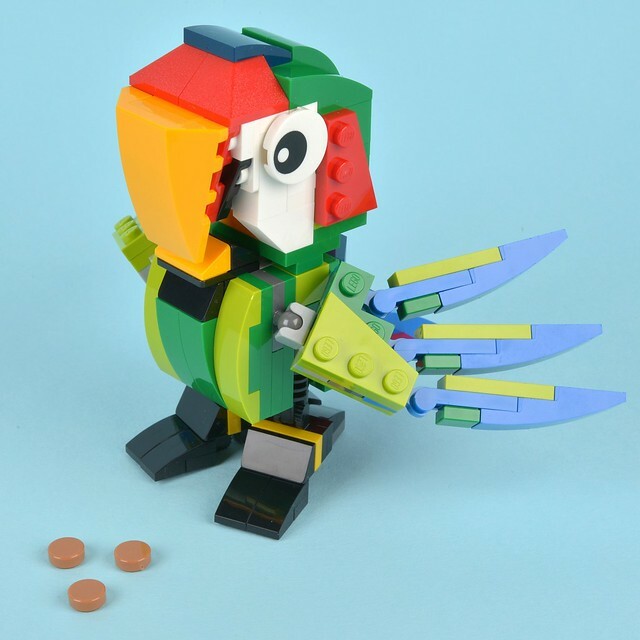 The set comes with some 1x1 round tile 'seeds' that can be fed to the parrot. There is a cavity inside its body to hold them. The wings are a bit on the short side but they look suitably feathery. They can be splayed out and angled into a variety of poses. I'm a big fan of Creator sets, particularly animals, and this set did not disappoint. At £12.99 and $14.99, it's good value: there's no Hollywood tax to pay and no minifigs to bloat the price. Fantastic value for money, just need to decide if parrot droppings are suitable for hospital wards! Oh and my box was normal the thumb tab variety. Purchased from the brand store. It's a great set and goes nicely with the previous monkey one, with a fun mechanism that should not be pooh-poohed. And the frog an bug are icing on the cake. You had me at defecation mechanism. The parrot eats the frog, the frog eats the bug, bug eats the parrots s**t. Perfect circle? This could be the next flick-missile. A play-feature to be included in almost every set. FYI - The Parrot depicts the Great Green Macaw. 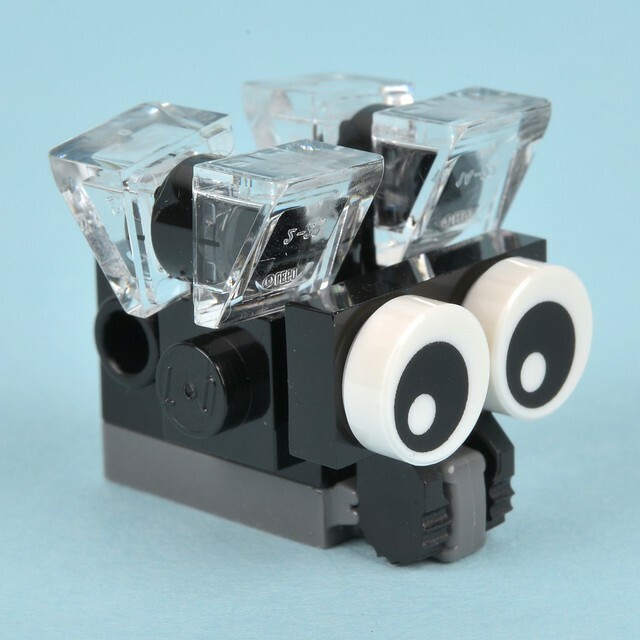 @LEGOGeek: Very interesting to know, thanks. I really like the look of this set. The chameleon would look better if his eyes were green and not red. I am sure my kids will like the pooping parrot feature too. I liked the monkey the set and I like this one too....but there are so many other things around! I might have to try and get that monkey now..! I guess I will have to get this one -- I have two boys, 8 and 10. The pooping mechanism will delight them. 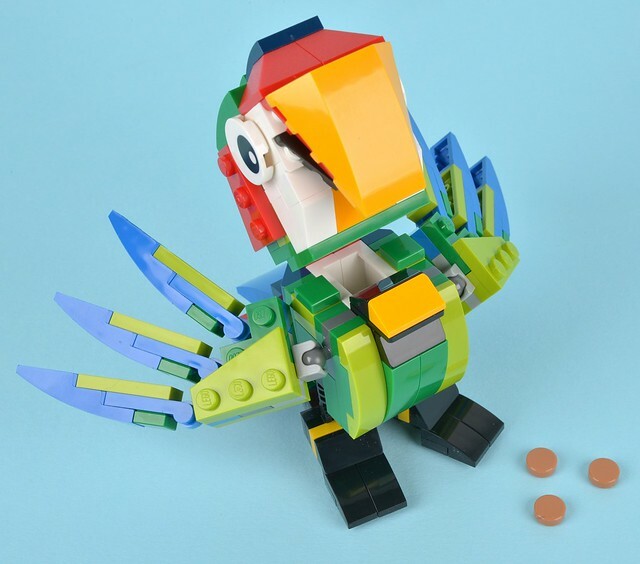 But this isn't the first recent pooping LEGO bird. 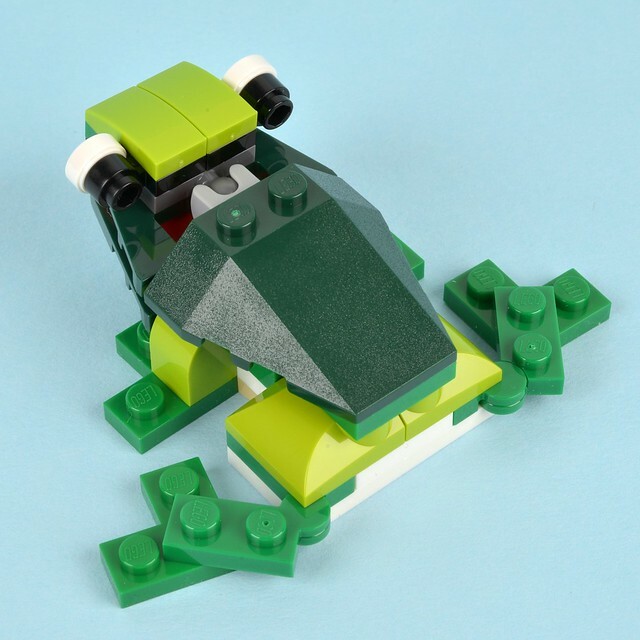 The robin from the new LEGO Ideas set has tail feathers that are attached with hinges. My boys discovered that you can bend them up and put white studs in the area under the tail then fold the tail down. Later you can lift the tail a bit and the studs fall out (they debated whether to use brown or white for bird poop, I suggested that white was more accurate). For what it's worth, our box, from [email protected] USA, was actually the first perforated rip-seal I've encountered. I would have preferred the tape-seals that I'm used to. Strangest play feature ever? My 5yo will love it. I built this over the weekend with the 3-year old. 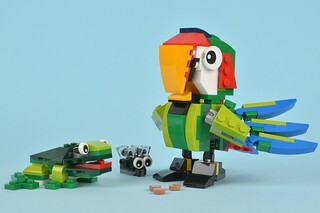 The main build (parrot, frog and "buzzy") surpassed my expectations. And the digestive tract surprise is a hit with the little one. A great value at $15, in my book. Picked it up a few weeks ago and I love it! Thanks for the review. Great review! I love the originality of the set! 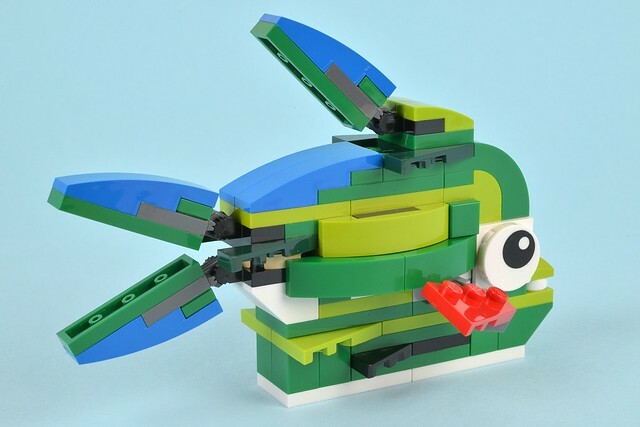 I really like the creator theme as a whole as every year your guaranteed to see something never before done in Lego. They're always great value and encourage the building of various creations using the same pieces, in ways other themes don't. I'll have to add this set to my ever growing collection! The bug steals the show for me. Love it! Poop-Chute Parrot! I'm not sure who will be more excited, me or my son. I can picture my wife rolling her eyes right now. @AlphaBravo, all are excellent and you won't regret buying any of them. 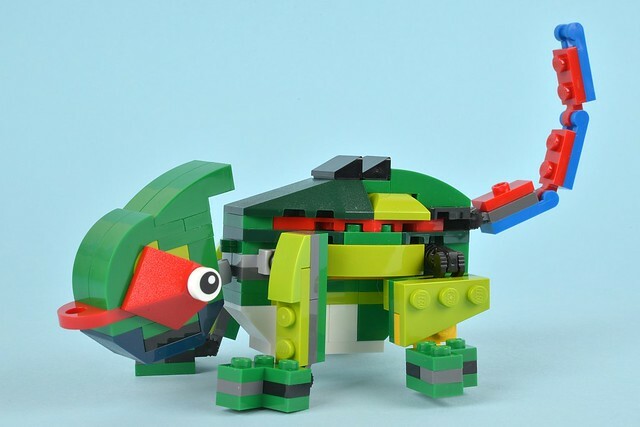 I made a Bricklist of large Creator animals a while ago: http://brickset.com/sets/list-2195 I've just updated it with this year's. They are all great. My little sister got this set for Christmas. I thought it was pretty awesome: Good price, even in Canada; a myriad of bright colors; a pooping parrot... yeah, I wonder if Red Creatures is this good? Clearly LEGO is attempting to steer children away from eating LEGO pieces by given them an example of what food actually is - namely, bugs and excrement. The parrot is just so hilarious. On the whole, all of the creatures in this set manage to be much more charming and aesthetically pleasing than the previous animals sets, which turned out looking pretty off. ... is just me, or are there a lot of toilets and toilet-related features in 2015 Lego sets? Are they running with a theme, here? 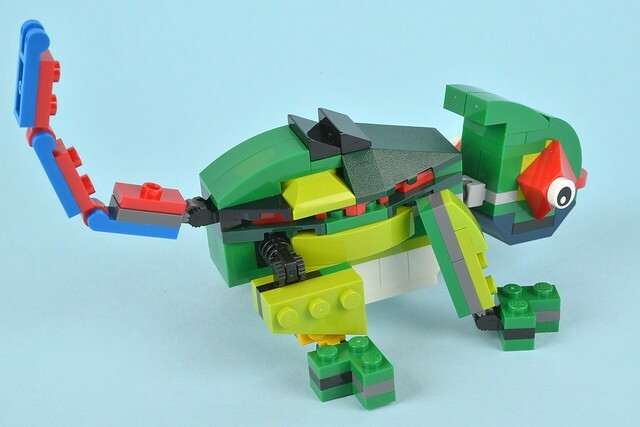 I bought this for the GF via LEGO online, waiting for it to arrive. Im sure she will love it, she already has the monkey and cat sets. I love this set - no waiting for a 30% discount on this one, I had to have it immediately! @Zordboy, yes it does seem that way. There are at least 3 toilets in the construction theme, including a porta-lou. I think the fly looks adorable however it does look out of scale compared with the other animals. 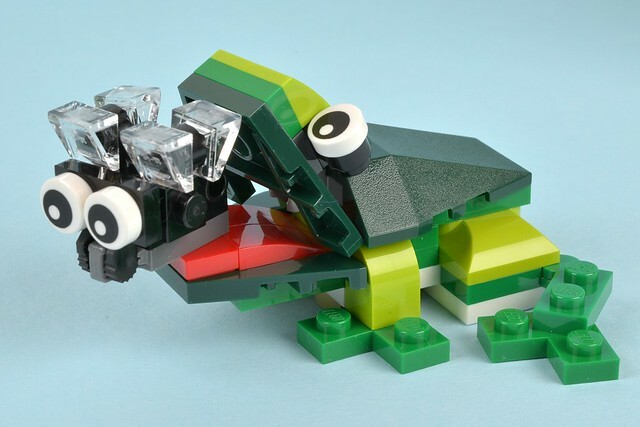 It hardly fits in the frogs mouth! 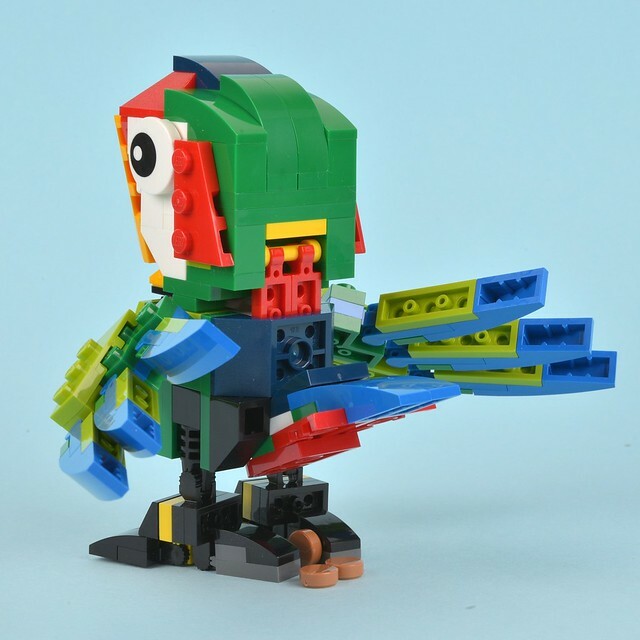 Even without the surprise feature, this looked like a great set, particularly the elusive 4th build (the bird of paradise, which I thought was one of the alt models for this set...evidently not). Great parts pack and a great build in its own right. These Creator animals sets keep delivering--I just picked up the Forest Animals and am amazed at the amount of expressiveness the monkey possesses. It has become one of my favorite sets. Keep 'em coming! Hahaha love it! Will definitely be getting this! @StorzN ... and then there's the toilet in the Heartlake City Lighthouse, and we can add the pooping rainforest bird to the list. That's starting to become a substantial list, is what I'm thinking. I'm pretty sure that's a Norwegian Blue. But one question @Huw. What would someone find more of a 'nuisance'? A Box having to be a bit ripped as a box collector? Or opening the box to find dog food (or other rattling product), other LEGO (not the set supposed to be in there) or 30 year old LEGO/megablock with an old LEGO advert brochure to mimic the instructions? Then trying to explain to the CS rep at a store you got it like that? I would say, based on personal experience, the slight ripped open box over a tampered with box for me. Don't bother trying to pretend that you're not enjoying the defecation mechanism too Huw! 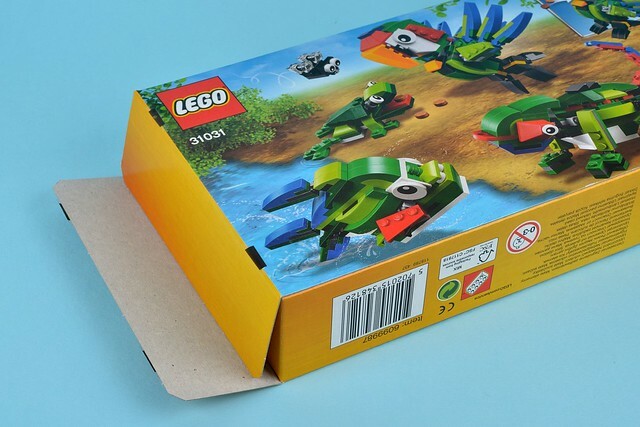 Set looks good - just a quick point about the push-tab-to-open boxes, I never do this, just get a sharp knife and insert it in the join where the side of the box meets the bottom of the box and proceed along the join moving your knife gently in and out. Keep a close eye on it as you move the knife to ensure it remains 'on track' and when you get to the bottom you can gently open the flap and hey presto it's all intact, doesn't ruin anything, probably the neatest way to get in! So this set has the push tab seals? I guess I was confused by the term "rip seals." I've really only encountered the thumb push tabs on small $10 sets and then taped seals on basically everything larger than that. This set does look neat. I think they are really nailing the creator line anymore. I have been buying that more, which limits my licensed spending...uh oh. 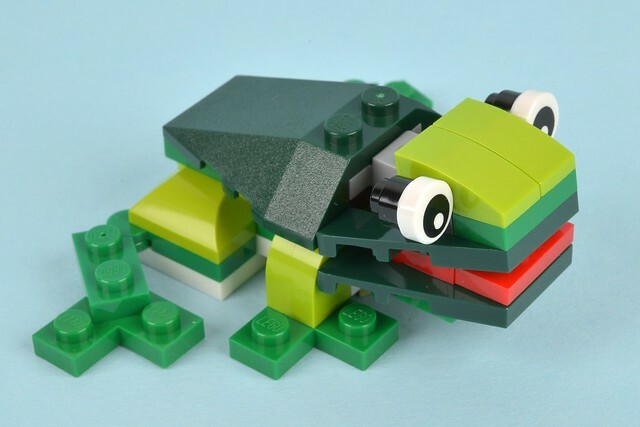 LEGO has done it again. We just bought this box because my son loves birds, and we happened to see a picture of a peacock using this set on the amazon website. 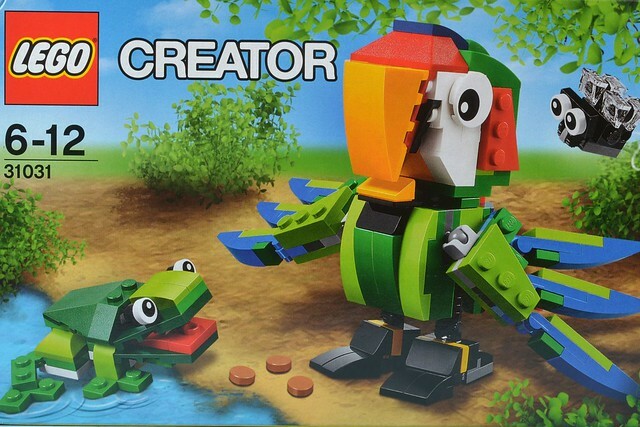 Too my dismay, the peacock picture does not appear anywhere on the box, nor is it included in the directions on how to build. Anyone by any chance know where to find directions for the peacock? I could probably figure it out if I worked off the picture, but I am not an expert and doing this will take me more time than I have available. ^ Go look at the eurobricks.com digital design tools forum. 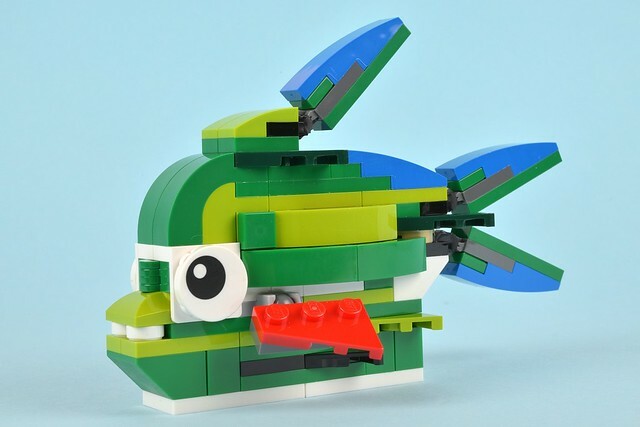 Someone found the club instructions and also created an lxf file of the build.